I understand why political leaders have fallen in love with hybrids and electrics. But this may be the one time you'll hear someone in Washington say it shouldn't be a monogamous relationship... I make no apologies for being the world's biggest diesel advocate. The Obama Administration has pushed forward with plans to rapidly expand the EV market in the United States, but de Nysschen favors a strategy of letting consumers decide what kind of car they want to buy, saying that the government should not be "prejudging winning and losing technologies." 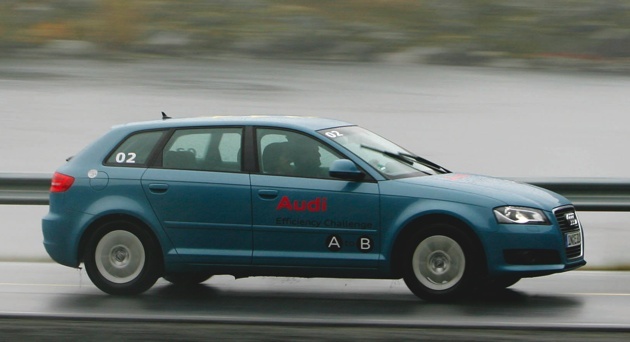 Audi to U.S. politicians: Diesels > hybrids and EVs originally appeared on Autoblog Green on Wed, 16 Dec 2009 13:01:00 EST. Please see our terms for use of feeds. 0 comments on "Audi to U.S. politicians: Diesels > hybrids and EVs"